These photos are from the Torrance 2014 State of the City luncheon presented by the Torrance Area Chamber of Commerce and held at the Doubletree by Hilton Torrance – South Bay. This was the inaugural State of the City address given by our newly elected Mayor, Pat Furey. In addition to the State of the City address, the Chamber of Commerce also awarded Bob and Laurie Brandt, owners of the Red Car Brewery & Restaurant, the Citizens of the Year Award for 2014. Mayor Furey used his time to give attendees a brief view of his background then proceeded to introduce the individual members of the Torrance City Council and discussed what each brought to the table; from Councilman Rizzo’s 31 years with the Torrance Police Department to Councilman Tim Goodrich’s involvement with the Sierra Club and his championing of environmental issues. Together, all seven members brought something to make this new city council valuable to the City of Torrance. On July 15 the City of Torrance got a new mayor, Pat Furey; and a new city council consisting of incumbent Gene Barnett, and newly elected council members Kurt Weideman, Heidi Ashcraft, Tim Goodrich and Geoff Rizzo. Now, it is true that Weideman and Ashcraft had one year and six months experience respectively as they had both been appointed, not elected, to the council but their combined 18 months of experience is but a drop in the bucket compared to the time put in by the council members they replaced. The fact is that on July 15 Torrance lost 30 years of experience between the departing of Mayor Frank Scotto, and Councilmen Bill Sutherland and Tom Brewer. Since Pat Furey was elected mayor, this resulted in another vacancy on the Torrance City Council. The options to fill the vacancy are either hold a special election at the cost of $200,000 or let the current council agree on an appointment. It was decided to solicit applications for the vacancy. 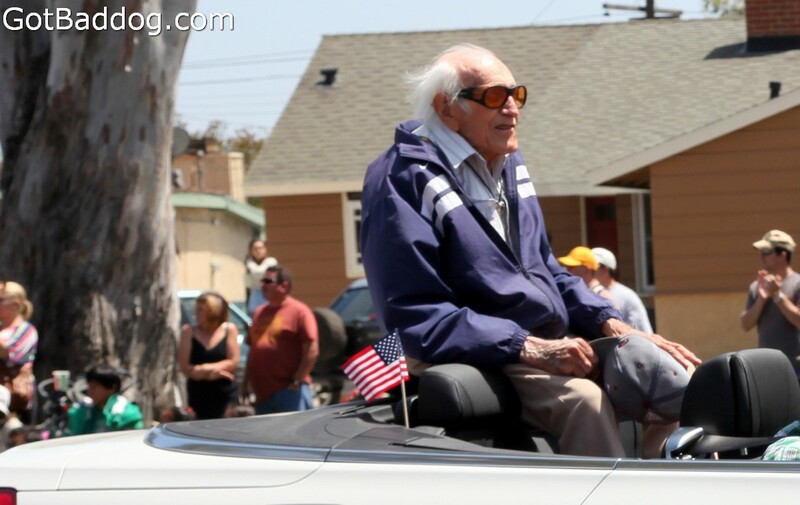 The following photos were taken Thursday evening at the Louis Zamperini Celebration of Life which was held at Torrance High School’s Zamperini Stadium. 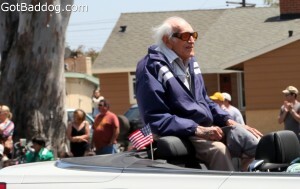 I should probably preface this by saying that I am not really in the habit of going to memorial services for people I do not know but over the past couple of years Mr. Zamperini’s name seemed to pop up more and more in conversations so much so that I felt like I did know him slightly. As I was walking the dogs last night I recalled how our family moved to Torrance [almost] 50 years ago and that even then my dad would mention the Zamperini name; even if I did not really appreciate who this man was. By the end of last night’s event I felt that I knew Louis much better and I wished I had made more of an effort to learn about him while he was alive.